What's Next For The World's Biggest Virtual Earthquake Drill? On October 21st of this year, nearly 8 million people across California dove under desks, strapped large appliances to the walls and participated in what could easily be called the largest virtual event of the year – if not the decade. It was called The Great Shakeout, an annual earthquake simulation that for the first time invited people all across the state of California to train themselves and their families on how to react to an earthquake hitting the region. 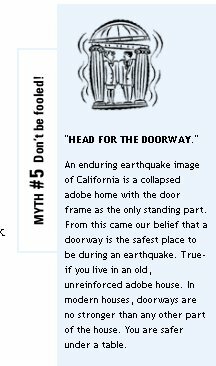 If you were outside of California, chances are you didn't hear much about this event … but within the state it was actively promoted and just under 8 million people (nearly 25% of the population of the state) registered to participate in the virtual earthquake drill. Online there was a wealth of information on how to prepare yourself, your family and your workplace for the possibility of an earthquake. The campaign had Twitter and Facebook accounts set up and featured advertising and promotion within the state of California as well. As interesting of an experiment as this was, I can't help but wonder how this simulated event might have become even more powerful of a training exercise if California had managed to find a way to get the significant population of social media entrepreneurs and social networks based in California involved. Sites might have stopped working for a minute during the earthquake – simulating disrupted network cables. Broadcast alert messages might have gone out to test the capacity of the networks to see if they could handle the surge in traffic as people got and shared these alerts. When it comes to a natural disaster in a place like America, the potential physical destruction could be vast – but the distruption in communication and uncertainty of what happened to friends and loved ones is can be much more devastating. Municipalities and utilities certainly have their own internal preparations for how they might handle a natural disaster, but how can we solve this second challenge? Here's just one idea: Solar Powered Photo Kiosks. One of the biggest communications challenges in a disaster is being able to quickly and easily distribute information to friends and family about who is ok and where they are. Having reinforced earthquake proof kiosks around cities where people could go to get their photo taken and upload brief biographical details about themselves, their location and their physical condition could create an on-the-ground disaster registry similar to the type of tool that several people created in response to the Haiti earthquake to help family and loved ones to locate one another. 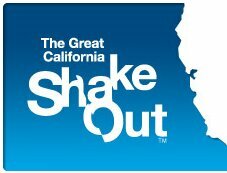 The Great Shakeout raised awareness across California and got people to participate in a real life simulation to practice their response behaviours. Next year, if the state can add a way to also use this moment to practice how its own virtual and real life response might happen – it could really be the most complete virtual disaster simulation in the world … and continue to be something that states and countries across the world would watch and learn from.